How to play spades card game? Spades is one of the most famous card game that is suitable for family and friends. 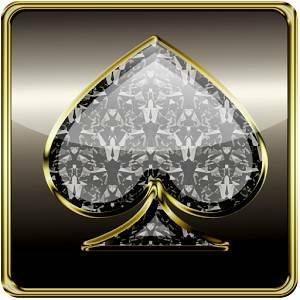 This post is written specifically to elaborate Spades Rules you can refer as you go on playing with your favorite game and also how to play spades. Card games are used playing cards of a deck of 52 cards that has four types including spades, hearts, diamonds and clubs. We have shared at this site, rules of different card games like spades rules, cribbage rules, bridge rules, phase 10 rules, canasta rules and so on. Card games are played for fun all across the world though with some variations in types of plays, rules and way of playing. All the different card game rules are provided on our blog in case, if you are interested in knowing rules of other games. Know spades rules and make sure you win always while playing this game. Lets get back to Spades card game rules and how to play the game. The popularity of card games all over the world has also brought tons of online card games too that you can download for free and can play on your computers and laptops during your leisure hours or traveling. Spades card games require traditional deck of 52 cards, four players with two teams of two persons. Further we have shared in details how to play spades and the spades rules. In case if you have any query regarding the game, you can always contact us using the contact form given on the website. Want to know how to play spades card game? The four players form teams of two and decide who will be dealing first to deal the cards equally with 13 cards to each player. And these four players bid a number of tricks. Each player starting with the person left to the dealer will announce the number of tricks he will take which is known as bidding. Each team should exceed the number of bids that are announced by the team. Team scores point for capturing the tricks they bade and penalty is faced for achieving bids less than the bids made. While the smallest number of bid any player can made is one, a bid for no tricks is known as a player going ‘nil’. Bids can be made from nil to 13. If a player goes nil, he does not take any trick. Bonus points are awarded for successfully losing on every trick and a penalty if the player who has gone nil attempts to make the bid and fails. Now that you can play spades on the internet, it has grown in popularity among all card players alike. The advantage of playing online is that you cannot make illegal play moves. The software of the online casino you are playing at will not allow you to select cards that are illegal in the game. To find the best casinos to play card game online we recommend that you first check an online casino guide in your country such as onlinecasinos.ca for Canadians and southafricaonlinecasinos.co.za for South Africans. The spades card game is played once the bids are placed by all the players. The spades card game then moves further with each player one by one putting down one card. 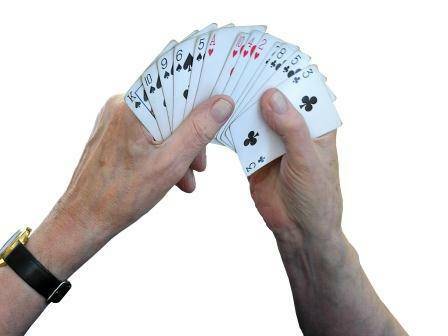 The player who enters a highest card or a highest trump or spades will win the trick. As per the spades rules, the team which earns highest trick-taking will ultimately win the spades card game. Usually the trump card or the spades in the spades card game is the card which outranks all other cards regardless of their value. In case if all the cards are spades in a suit, the player who enters the highest ranking spades will take the trick. If you want to learn how to play spades card game rules then you can refer spades rules given below. Follow some of the spades rules for the points and scores too. After the trick-taking is over, the winner comes out with highest number points and not just the highest number of bids. Check out how the points or scores are counted in the spades card games according to spades rules. If a team takes equal number of tricks it bade, it scores 10 times of the number of tricks or bids taken. For instance, if a team bids for 4 tricks and succeeds in taking 4 tricks, it earns 40 points. Additional trick taken by team i.e. number of tricks taken which are in excess of number of tricks actually bade by the team rewards only one single extra point to the team. For instance if a team had bidden 6 tricks and takes 7 tricks, the total points earned by them would be 61. If a team fails to take number of bidden tricks, it loses 10 times the number of bids for trick-taking. If a team bids for 6 tricks and takes only 3 or 4 or 5, it loses 60 points. If a team declared for ‘nil’ bid and takes no trick, it earns 100 points. Spades rules count for 100 points for a successful nil bid. In case if nil bid does not succeed and the player or team takes trick, there will be loss or penalty of 100 points. According to number of points earned by following these spades rules, the winning team is decided at the end. Besides above spade rules there are some simple well known facts of spade card games like a bid once made cannot be changed, spades cannot be led or played unless it is played by other player. There are equally good card games which you might want to try. Perhaps, you should give canasta card game a try. It is one of the highest played card game. 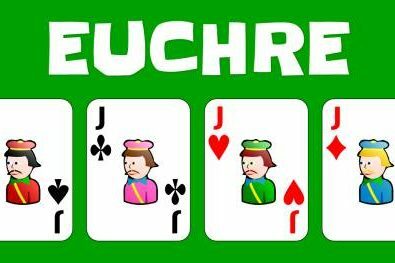 Any player can put down or enter spades only when he/she has no other card remaining in hand. ‘Breaking Spades’ means playing the first spades. We are sure you are now quite acquainted and confident on how to play spades and how to calculate winning points as per spades rules. We will updating rules on other card games like bridge, cribbage rules, phase 10 card game rules etc. to enable you to enjoy the card games and have fun with your friends. Crazy 8 Rules & Instructions: How to Play Crazy Eight Card Game?